Material: 92% polyester, 8% elastane. Beautiful long dress in tricot from CHIARA FORTHI. 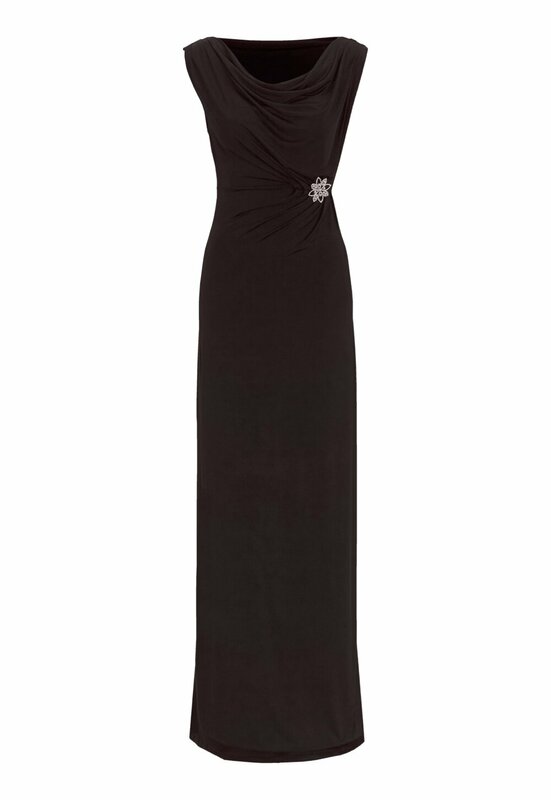 The dress is draped at the neckline, both front and back. Total length of garment in size S: 152 cm.